This is the "Workhorse" design for FIBCs. 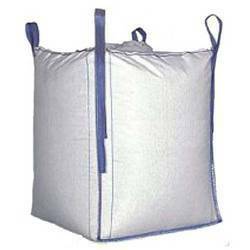 The standard four loop bags all types of bulk materials. Our organisation is recognised as the most prominent Bulk Bags manufacturer and supplier in the market. The unrivalled quality and supreme durability of these bags have made us the preferred choice for the clients. Circular Fabric with Lifting loops sewn cross corner. We also manufacture and supply bags with Top and Bottom Spout, with Top & Bottom Flap, Top Cover and Bottom Cover. We are engaged in manufacturing and supplying an excellent range of Box Bags. 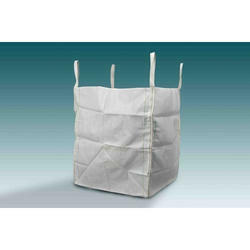 These bags are specially designed for packaging fibres, for covering boxes and cartons. Our range can also be used for other purposes such as for covering any item in the open air. In addition, we are capable of providing these products with customized solutions according to the specifications of our esteemed clients. GLOKAL FZE offers a wide range of FIBC and packaging for industrial uses.FIBC is based on designing bulk packaging products to meet specific industry needs. GLOKAL Supplies many bulk bags for customers with specific requirements.